Indigo pieces constantly get the rubber stamp of approval from designers, artists, and textile enthusiasts alike. So why don&apos;t more people wear it? Indigo is coveted as this elusive material that&apos;ll be classic and rare forever, and people push it real hard, but how many fools do you see rocking indigo on a day-to-day basis? It&apos;s a small pool. This will play to your advantage when you cop the Paul Smith patched work jacket, a spring/summer 2014 release from the brand&apos;s Red Ear collection. 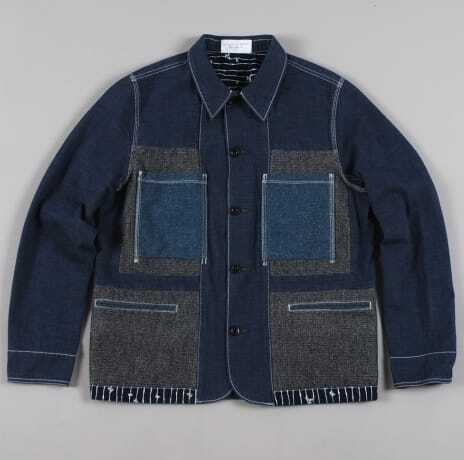 Various shades of indigo patches comprise the pockets and sleeves, while herringbone accents and bamboo print lining at the bottom mete out some of the blue. You might be one of the few owners of this standout piece, but that just shows you&apos;ve got an eye for a heavily supported material most won&apos;t spring to cop. Well done.